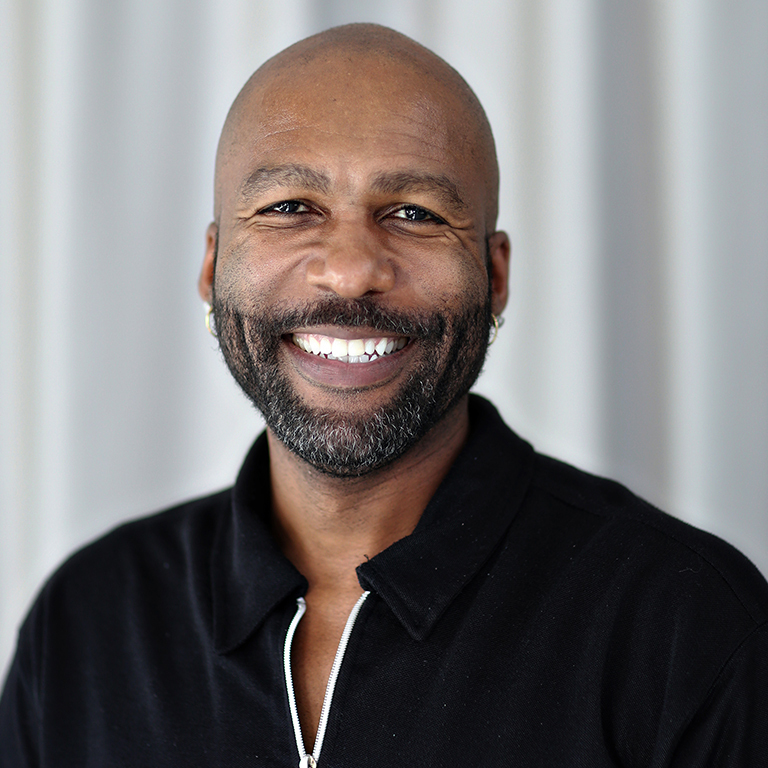 Stafford C. Berry Jr., (Baba Stafford) is director of the African American Dance Company and a professor of practice in the Departments of African American and African Diaspora Studies and Theatre, Drama, and Contemporary Dance at Indiana University Bloomington. Mr. Berry is an accomplished artist, educator, activist, and scholar of African-rooted dance and theater, and aesthetics. Prior to his appointment at IU, Mr. Berry was an assistant professor of dance and black studies at Denison University. He toured 12 years with Chuck Davis’ African American Dance Ensemble for which he was associate artistic director, and he was on faculty at the American Dance Festival. Mr. Berry is co-director of the Berry & Nance Dance Project, an all-male contemporary African dance company. Originally from Chester, Pennsylvania, Mr. Berry received his formal education in theater, dance, and music from Temple University and North Carolina Central University and his M.F.A. from Hollins University. He is a certified teacher of the Umfundalai Technique and has taught, choreographed, and performed African-rooted dance nationally and internationally.